Dive deep into the practical teachings of whole life yoga. An empowering, educational experience in a magnificent setting. Recorded Februrary 2017. In-depth, practical exploration of Chapter One of this treasure text of the yoga tradition, with movement, meditation, and sound practices too. Recorded September 2015, exploring the practical riches of mythology in the yoga tradition, with episodes on Ganesa, Mother Divine and Hanuman. 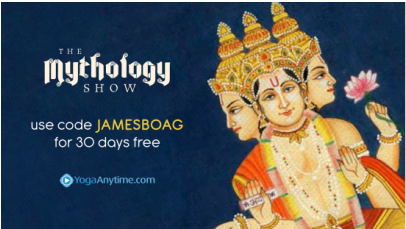 15+ hours of content, recorded June/July 2015, includes: introduction, series on recitation and series going through the practical teachings of Chapter Two, working from the original Sanskrit, with stories and songs along the way.